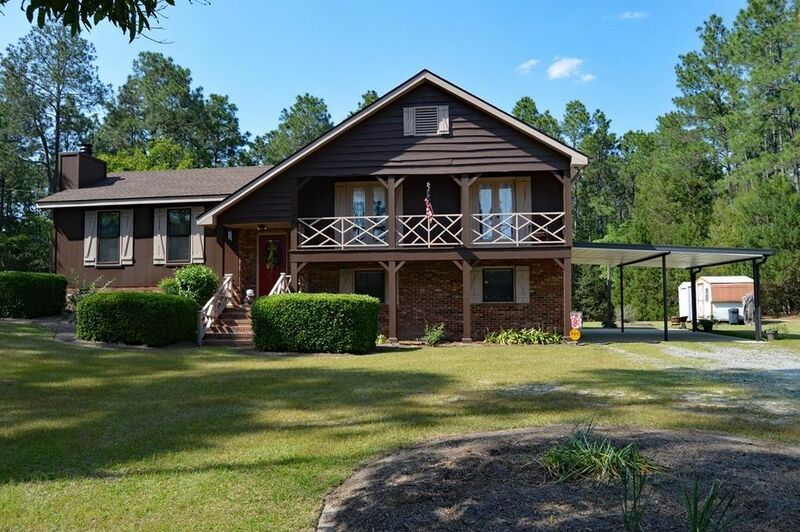 This tri-level home is nestled against a back drop of beautiful woods and features 3 acres. It's versatile floor plan boasts a bottom level Suite with a large living space and bedroom and full bath. The second level features a den with fireplace with wood stove insert with accent beams running across the ceiling, dining room and eat-in kitchen. The third level features 3 bedrooms, and 2 bathrooms. The front bedrooms feature a balcony. A grilling patio and fenced back yard create the perfect entertaining space for cookouts. This home also has a large side carport. Located just minutes from shopping and schools, but you will feel like you're in the country.Call Tammie Gibbs @ 912-293-2899 today to schedule your private tour.